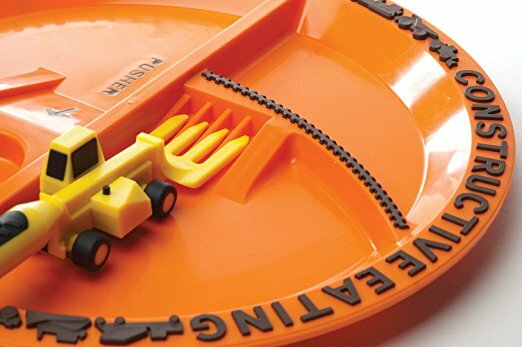 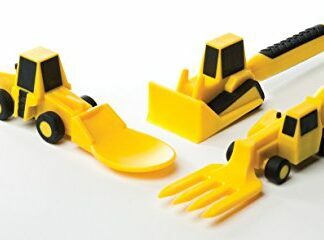 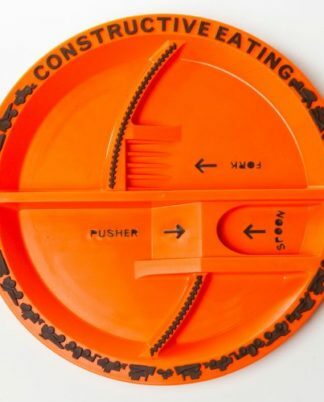 Feed kids creatively with this Construction Plate and Set of Construction Utensils (sold separately). 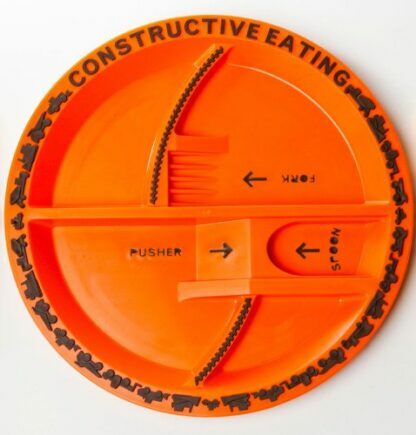 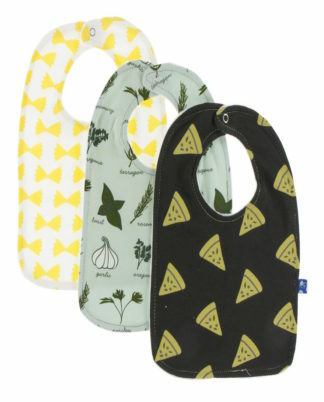 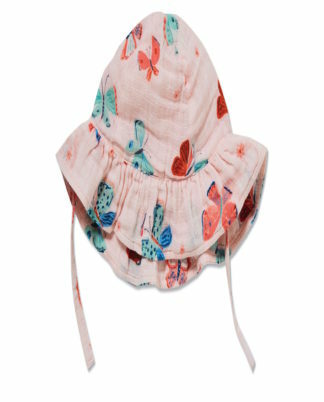 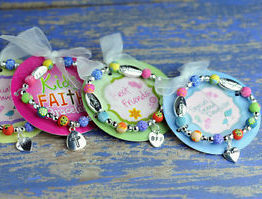 This best selling product keeps kids engaged during mealtime and encourages independence and imagination. 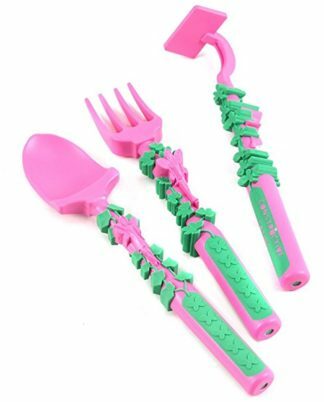 Patented design enables children to easily load up their forks and spoons increasing overall mealtime productivity! 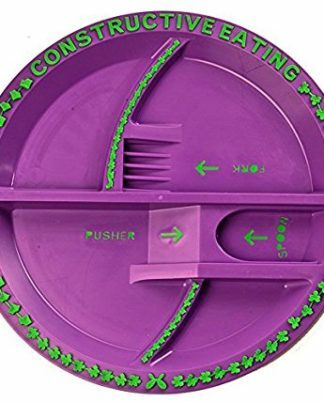 No paints are used in this product. This product contains no lead.